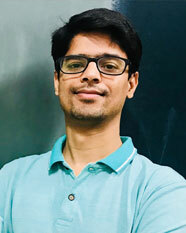 Mrityunjay Kumar Tiwary is an Assistant Professor in the area of Finance & Accounting at the Indian Institute of Management Lucknow. His primary research areas are Banking, Financial Markets, and Accounting. Some of the topics he is currently investigating are policy implications of relationship between financial development and growth, Systemic importance of cryptocurrencies. Prior to joining Academics, he worked with financial consulting firms and a leading investment bank. Besides academics, he takes keen interest in sports and political science.